Different types of sweet making machines are used for different purposes. The premium range of Commercial Kitchen Appliances includes all these machines too. The Sweets Making Machine specializes in food processing. Such a reliable and premium quality stainless steel machine can help in preparing different types of sweets without much effort. 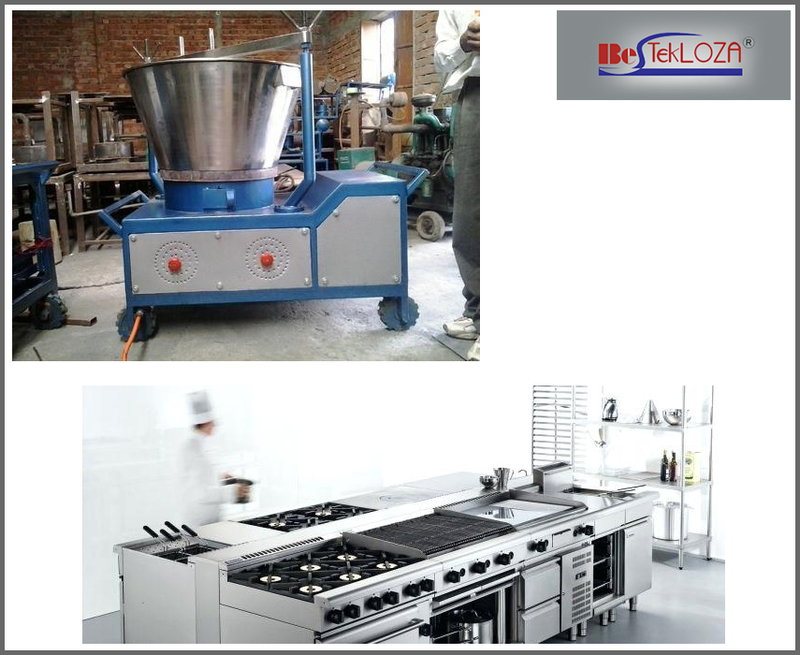 Different types of sweet making machines help with different types of food processing tasks like mixing, heating, steaming, cooling, shaping, etc. The cooling mixers are found to have a broad range of application in desserts. For example, a stainless steel bodied mixing machine with a capacity of 200 liter is the ideal one for a medium to big sweet making firm. Some of the common models have two agitator arms that continuously turn, twist, shake and bake the ingredients in every direction. A machine can mix the ingredients more evenly as compared to manual mixing process. The machine can even bake the sweet evenly. The machine can be used for mixing liquids, slurry, etc. The highly efficient machinery is also used making different types of halwa, burfis, mohanthal, dodhburfi, mawa, kajuburfi, mysorepak, etc. Double Door Vertical Freezer or Chiller:- The machine provides low consumption of energy thus, saving the economic costs. The offered refrigeration is manufactured with the help of CNC machines to give a creative and attractive appearance. Its special features include complete stainless steel body, GN Pan accommodation along with adjustable shelves, removable gaskets for effortless cleaning, digital temperature display, and wheel-mounted for easy movement from here to there. Four Door Vertical Chiller or Freezer:- The features of this machinery are the same as that of the double door chiller or freezer mentioned above. The only difference lies in the number of doors. Baked Rosogolla Maker:- This rosogolla baking machine specializes in stainless steel front door and front panel, maximum 450 degree Celsius temperature control with more cooking speed, thermostat controlling feature, reinforced door for effortless service and frequent opening and closing operation, shatterproof high temperature glass window to monitor the baking conditions, and long-live halogen lighting system for checking the baking process. Bend Glass Counters with Customized Lower Panel Designs:- This machinery is manufactured to make sure that one can have the perfect storage as well as display solutions at the disposal. The top manufacturer and supplier of Commercial Kitchen Appliances strive to offer the maximum returns on your investment by supplying quality counters. The specialty of this particular machine is that it is manufactured using stainless steel, the sides, and the front portion is covered with glass, two shelves with bottom portion, light canopy with channeling, fully sealed glass without having any air gap, fitted with a compressor for the cold refrigerators, can be customized as per the client’s specifications, and is available in refrigerated, hot and neutral setting. Insulated Stainless Steel Vatti:- This stainless steel machine known as the vatti has adjustable legs with nylon bullets, provided with glass wool insulation around the entire body to save LPG. L-Shaped Counter Fabricated in Single Unit:- Display counter is mandatory for any sweet selling business. This product helps to display the favorite and appealing sweets and store these stuffs at the right serving temperature. This helps to attract the customers as well towards the delicacies. Multipurpose Steamer:- This multipurpose steamer used for steaming different sweet delicacies like chomchom, or any other steamed sweets. The special traits of this machine are the stainless steel body of it, adjustable nylon bullets, and its stainless steel tray. Some other products that fall in this category are the straight glass counter with personalized designs in its lower panel, the VISI coolers, and a few more.